A Russian aircraft, a Sukhoi-24, which NATO calls Fencer, the low-flying tactical bomber – an aircraft considered better than our Tornado – was shot down north of Latakia by a Turkish F-16. The Russian aircraft was flying at an altitude of 6,000 meters. The Turkish area of ​​action was Jabat al Akrad, along the border between Syria and the Turkish area of Yayladagi. According to the Russians, about a kilometer from the Turkish border. 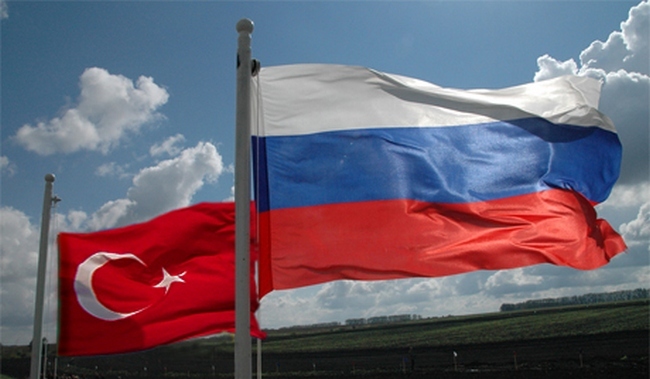 The Russian aircraft is likely to have really crossed the border into the Turkish territory – which happens often – and the order to shoot it down was given directly by the Turkish Prime Minister Davutoglu who, ironically, as previous Minister for Foreign Affairs, had invented the slogan of the new AKP Turkey: “zero problems with neighbouring countries”. With this type of aircraft, slight border crossing is almost the rule, even supposing that the Turkish version is true. 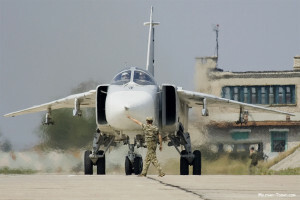 The Russians, of course, tell another story: the Su-24 was shot in the North of Syria and both pilots managed to escape by jumping out of the cabin. Here again the Turkish statements are conflicting. One of the two pilots was supposedly killed by the jihadists, whereas the other one was captured by the Tenth Brigade of Turkmen Rebels, one of many jihadist organizations funded directly by Turkey, Saudi Arabia and Qatar. Coincidentally, this organization operates precisely in the Latakia area, on the edge of the Russian positions. The video released by the “Tenth Brigade” shows a Russian pilot, with severe head injuries, surrounded by jubilant “rebels”. The Russian attack helicopters are scouring the area looking for any survivors or, anyway, other data on the Turkish action. Outside official channels, the Russians also spoke of a land missile which allegedly hit the Su-24. 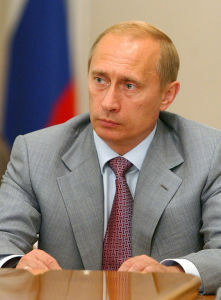 Putin said that the Russian aircrafts never pose any threat to Turkey, but it is precisely north of Latakia, even in the ranks of the “Tenth Brigade”, that many jihadists coming from Russia lurk – and the countries which support the local jihad have sent their “rebels” of Russian origin there for obvious infiltration and terrorism purposes. When the Russian President was informed of the plane downing, even though he was receiving the King of Jordan, Abdullah II, he talked of “terrorists’ accomplices” who had inflicted “a stab in Russia’s back“. Unfortunately the Russian Federation has set in, since it is not afraid of fighting and it has not been discussing for months whether we need boots on the ground in Syria or not. It sends them there, and that’s it. It is worth noticing that Persident Obama has never spoken of “Islamic terrorism”, but only of Terror, which is wrong, because this is not the mere terror of horror movies, but jihad, which may well have some terrorist traits, especially at the beginning, but it contains all the elements of classic and even non-orthodox war. “Seize the infidels, the unbelievers and put them to death wherever you find them, seek out the enemies of Islam relentlessly” (Sura 4:90) and probably Barack Obama remembers when, as a kid, he attended a Koranic school in Indonesia. However, as soon as Russia appeared in Syria, as many as 51 Imams came from the whole Arabian Peninsula to condemn the Russian presence in the Syrian-Iraqi region, while Saudi Arabia, Qatar and Kuwait increased, by at least 60%, their supplies of funds and weapons to the various anti-Assad groups of “rebels”, by sending new resources also to the AQAP, the Al Qaeda fraction operating in Mali, Mauritania and Morocco. Basically Turkey – mindful of the huge funding that the AKP, the party led by Persident Erdogan and Prime Minister Davutoglu, had received at the beginning of its political life by Saudi Arabia – is now formally a NATO member, but substantially it is a part of the Sunni front. Not to mention the fact that, after President Erdogan’s victory in the recent Turkish elections, the European politicians have rushed to revive the issue – fortunately set aside – of Turkey’s accession to the EU. Turkey is already a NATO member, but that was a country still mindful of the lesson of Kemal Ataturk and the “young Turks”, who had been trained to the modernization of the Ottoman Empire in the Italian Masonic lodges of Thessaloniki, Alexandria and Istanbul. Today that country is playing another game, or rather two: the creation of a large Panturanic front ranging from Anatolia, which is also Alevi or Alawite, up to the Uighur rebels of the Chinese Xinkiang, which Turkey is still training and funding. An anti-Russian action in itself and, in fact, many of the so-called anti-Assad rebels are currently recruited in Dagestan and in the other Russian and post-Soviet Muslim republics. Certainly, if Putin declares, as he has recently done, that the ISIS is suffering a crushing defeat, we can understand why certain countries which support it decide to take a hardline approach and shoot down the Su-24. These are the shortcoming and limits of an amateur-style foreign policy, only focused on election results, as well as politicians’ and leaders’ etiquette, while the issue lies in resuming the dear old lesson of political realism, of national interest and of the reasons of State. Turkish Prime Minister: I Gave Order to Shoot Down Russia’s Plane Myself… or not?